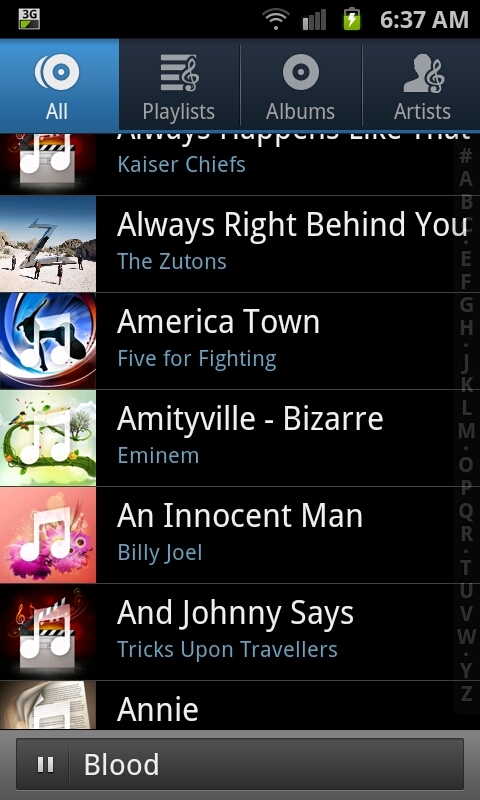 One of the questions I was recently asked about the phone was how do you play the songs on random mode or shuffle. Someone had told them that it wasn't possible with the default player, though I knew I'd managed to set it on to shuffle. Firstly you need to load up your music player. We are using the default "Music" app for this guide, though I know that other alternatives are out there. The music app will look something like the screen to the right with a list of songs and bands. Sadly clicking the menu button here, which is how you'd expect to select shuffle mode, doesn't actually give you the option. What you need to do from here is select a track and load the track up so you get the song playing screen. When you get a screen that looks something like this (it may show the album cover or a Visualization screen depending on how you've personally set it). Around the middle of the screen here you can see a "shaded" area with the running time (00:46 from 04:26 in this example) as well as the boxed A (with is the replay function) and on the left hand side you see two arrows. 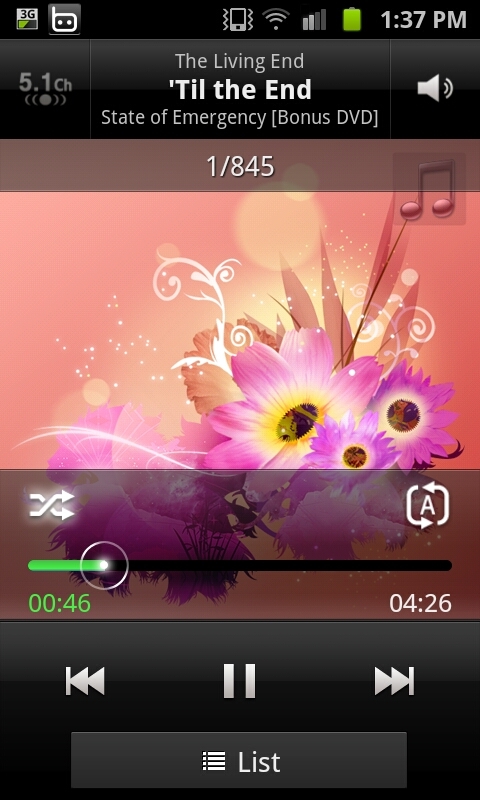 This is the shuffle mode. Just press it to select or deselect it. Whilst this is easy enough it seems an over-sight not to have it accessible from just the menu buttons, though I think (I might be wrong) that this is an Android issue and not one exclusive to the Samsung Galaxy S2. If you want to play your songs randomly this is by far the easiest way to do it and doesn't involve needing to download any applications. The little box is the repeat setting, the capital A is for 'All'. AWESOME! So many tips and tricks to figure out.